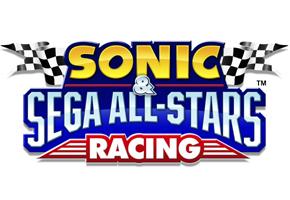 The long-retired Japanese commercial icon for Sega known as Segata Sanshiro was briefly considered for a role in Sonic & Sega All-Stars Racing, according to a post on the Sonic Stadium forums by Steve Lycett. Using his S0L nickname, he addressed some snooping that had taken place on his personal Facebook page. A conversation was picked up there, started by Sumo Digital’s lead designer Travis Ryan. He asked Lycett if the character had been picked up. A back and forth ensued between he and composer Richard Jacques lead to Ryan qupping that “Sony and MS are missing a trick here.” That led a few to wonder if Sanshiro would head to the Wii or DS edition. I’m glad there is nothing too embarrassing on my Facebook! I’d not hold your breath on Segata Sanshiro, we did look at the possibility (and yes, I’ve even got some concept art of him riding on a Sega Saturn) but then I’ve got concept art for all manner of things that aren’t in the game! That pesky Travis. You can’t say anything right now without it becoming a massive rumour! Segata Sanshiro came to prominence in the 1990s as the face of the Sega Saturn ad campaign in Japan. The real life character, portrayed by actor Hiroshi Fujioka, would lay a beat down on anyone he came across in commercials who wasn’t playing the Sega Saturn. His name, translated, is “Sega Saturn White,” which was one of the model Saturns sold in Japan. The character was killed off in his final commercial, where Segata uses his strength to turn a rocket away from Sega’s Japanese headquarters, and into space. We are expecting some legitimate new information in the next week or so concerning ASR. It is of critical timing, given the proximity to the Holidays, and NiGHTS’s association with them. We will keep track.